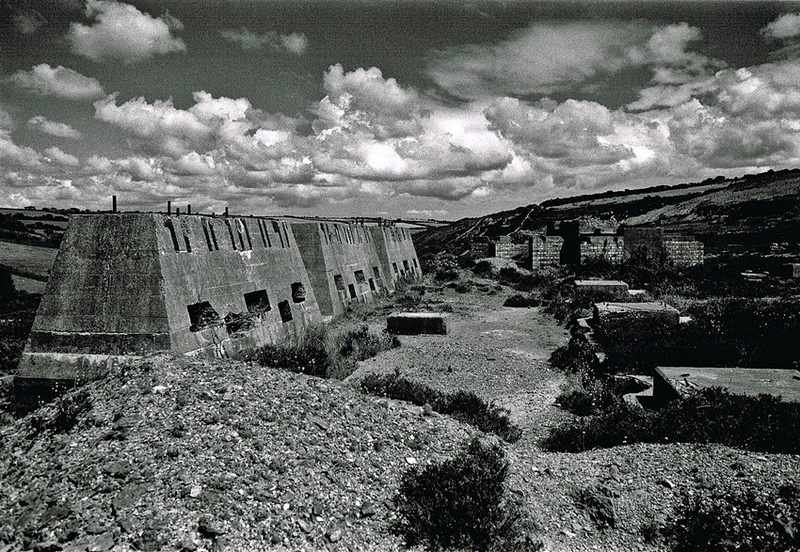 Poldice Mine, numerous deep shafts cover the Poldice Valley, for such an important mine very little remains to be seen. Poldice Mine was active from the 17th Century up to 1913, during that time over 150,000 tons of Copper, 1500 tons of Tin, 2,500 tons of Arsenic and 320 tons of Ochre. The present day remains date from the 1920’s when Park-an-Chy Mine purchased the site to process their ore, an ariel ropeway was built to transport the material. 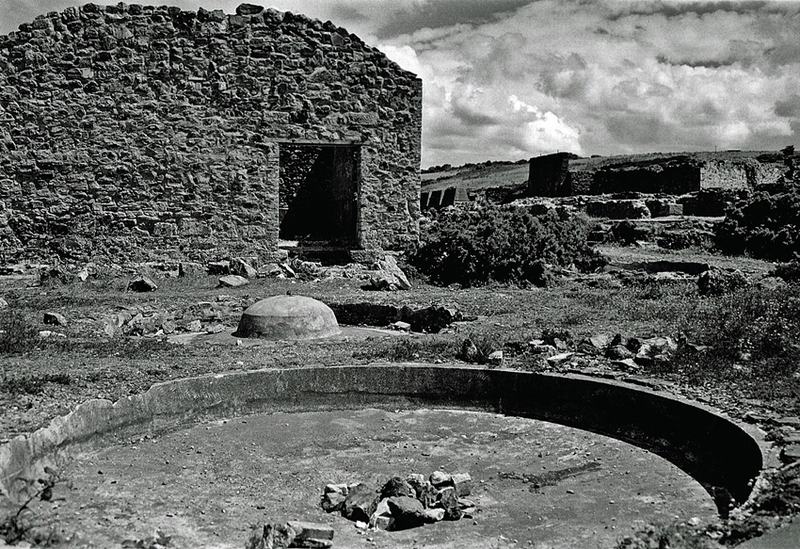 The original plant was extended and modernised, two Calciners were on site along with stamps, buddles, shaking tables and magnetic separators, up to 120 tons of ore could be processed daily. Underground mining was again started at Poldice by Park-an-Chy in the hopes of finding new ore reserves. 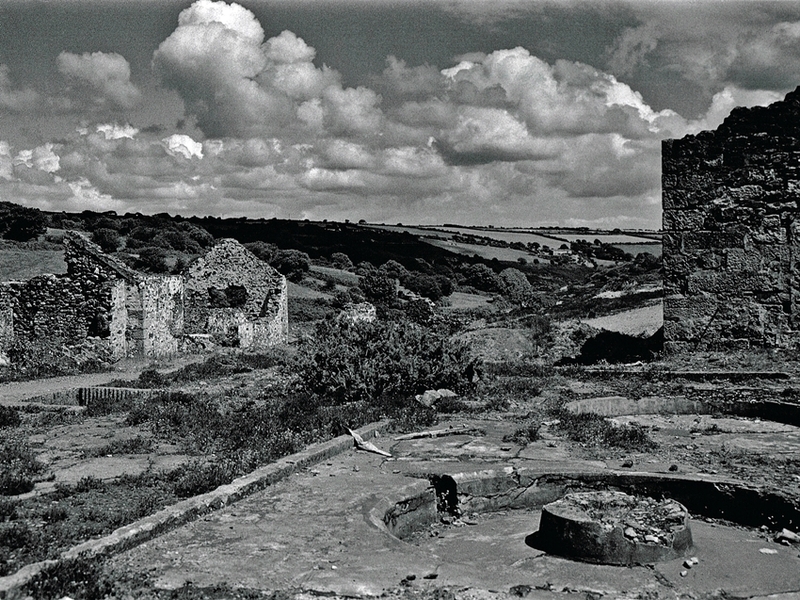 In 1930 both the mines were closed and the mill was dismantled in 1932. 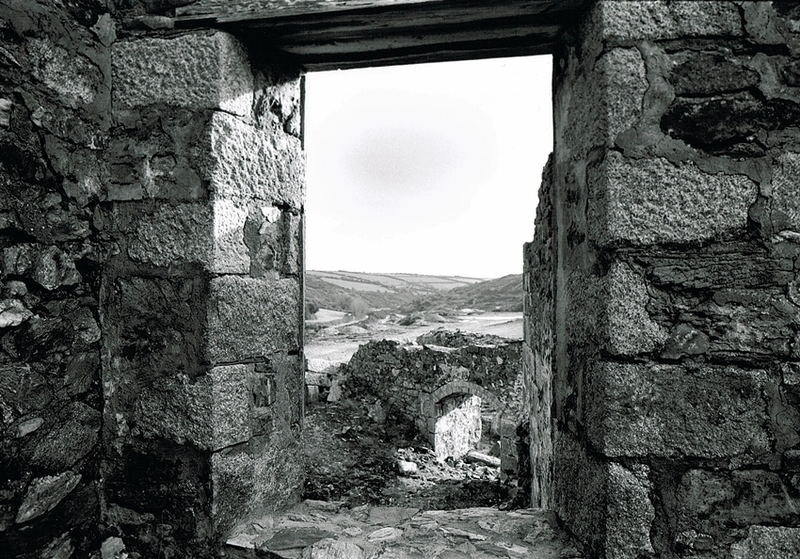 The images on this page were taken on a fantastic summers day in 1996, the site has received some stabilisation and grilles have been put up to protect the unwary. 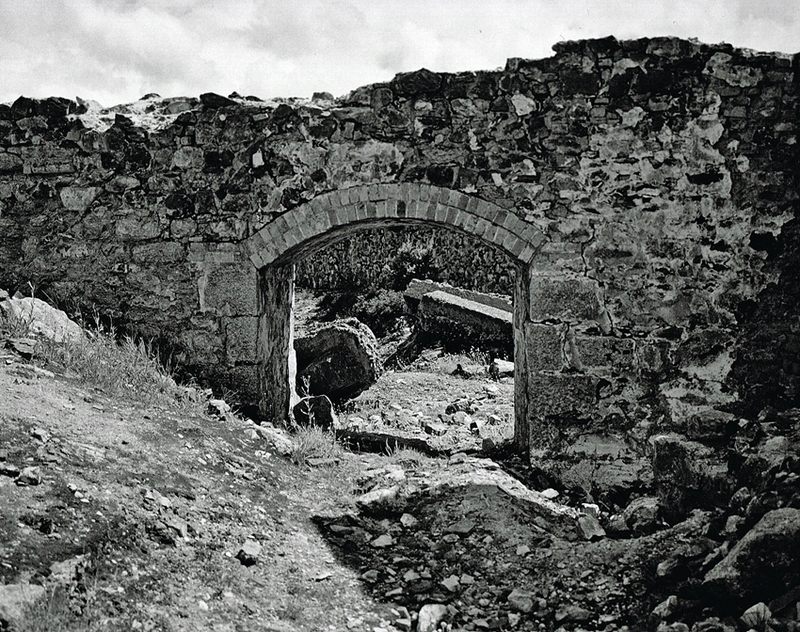 A well preserved arch in the wall of one of the buildings. 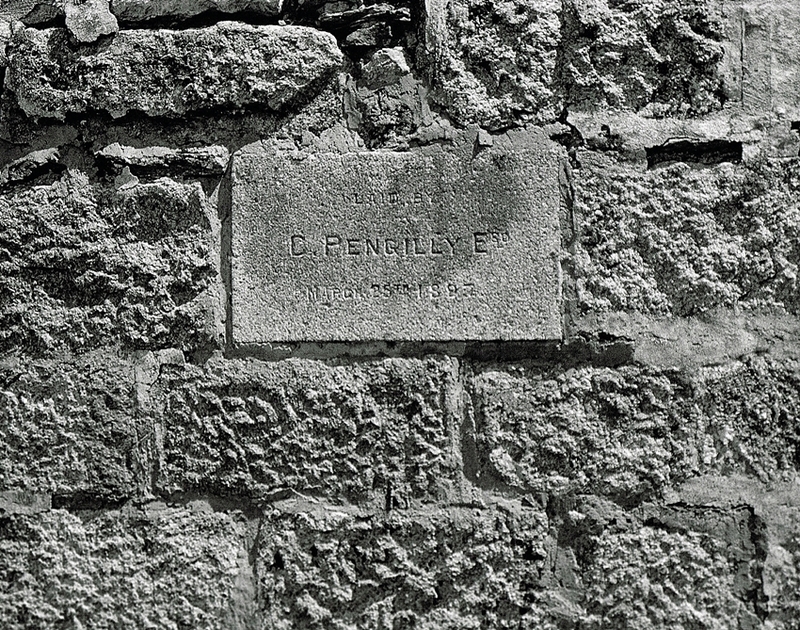 A date stone in one of the building walls, Laid By C.Pengilley Esq, March 25th 1887. 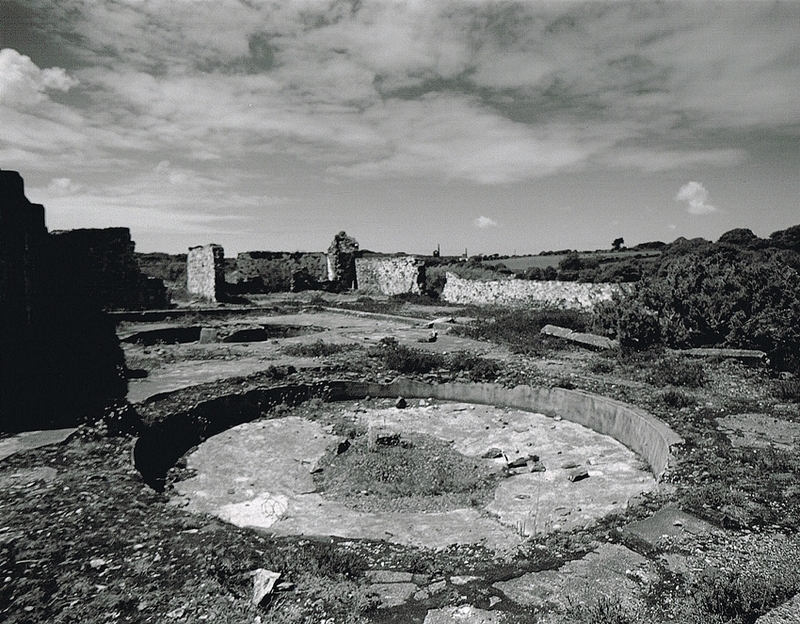 Some of the many buddles around the site, in the foreground a large Concave Buddle. 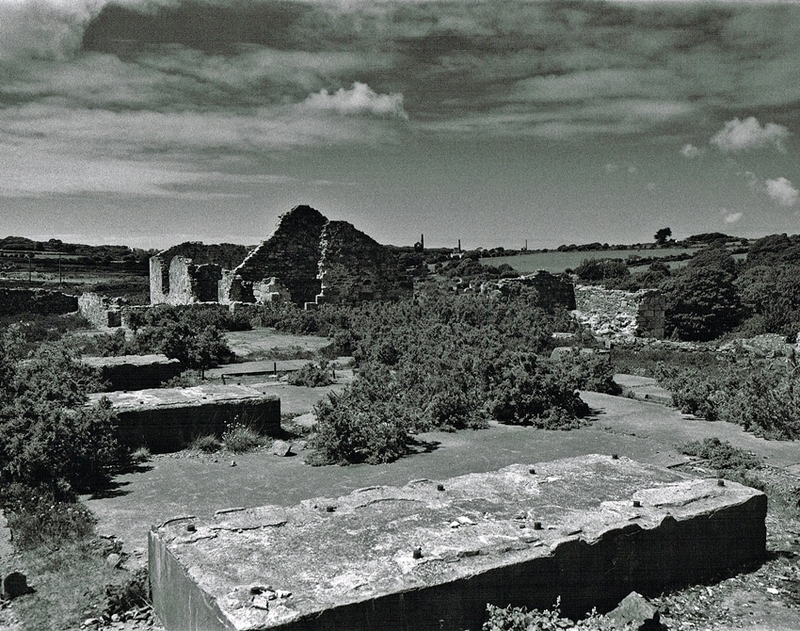 This image taken looking across Poldice Mine shows the extent of the remains. Looking across machinery foundations towards the buildings. 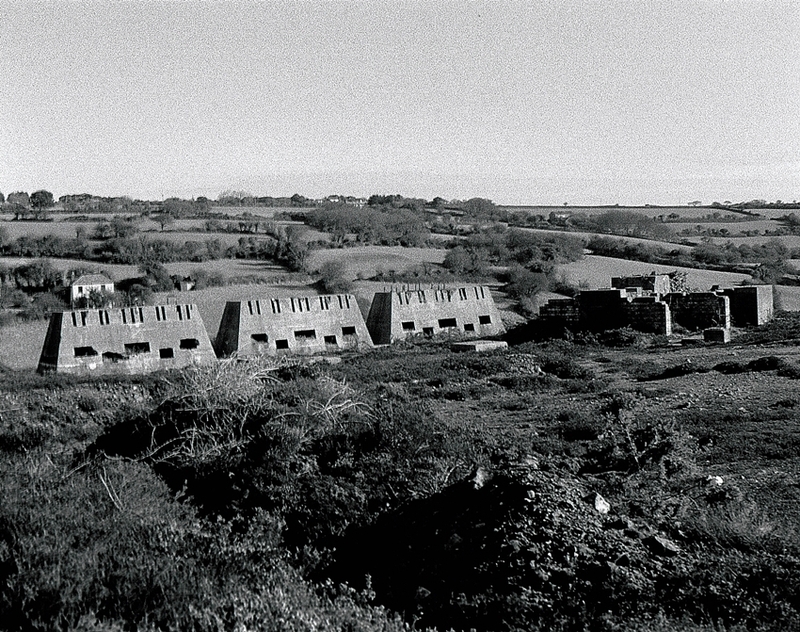 On the skyline are the Engine Houses of Wheal Unity Wood and Killifreth Mines. A large Concave Buddle at Poldice Mine. Before any restoration work some of the walls were in need of attention. 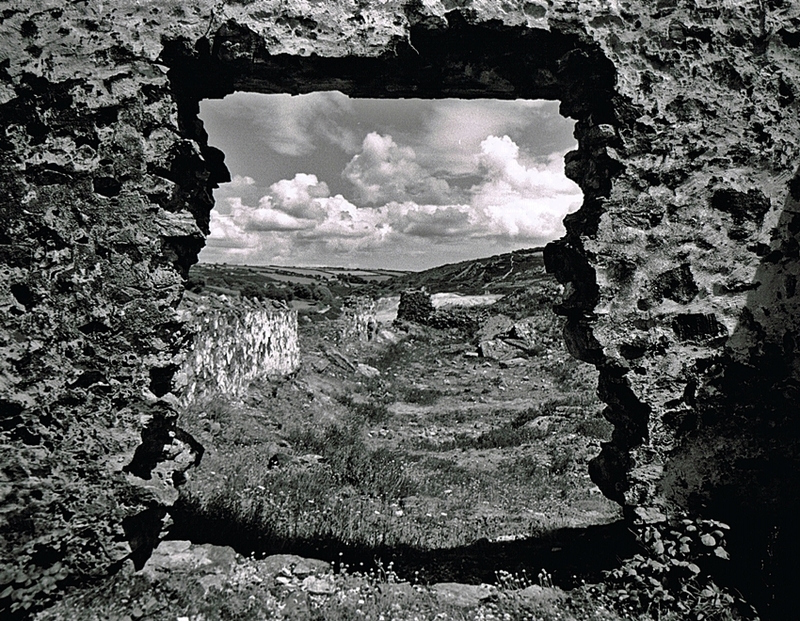 A view down the Poldice Valley from a window in the derelict buildings. A well preserved Convex Buddle. 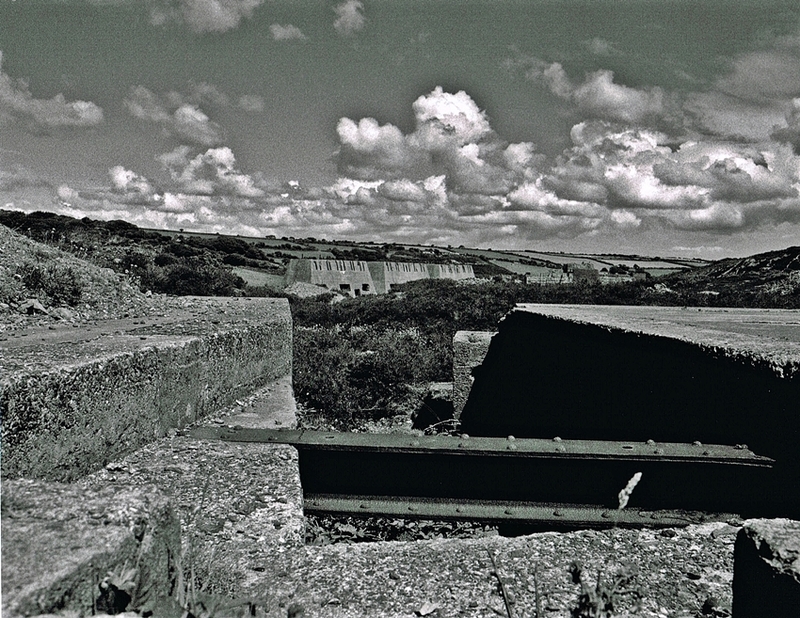 These are the impressive foundations for the Californian Stamps used to crush the ore. 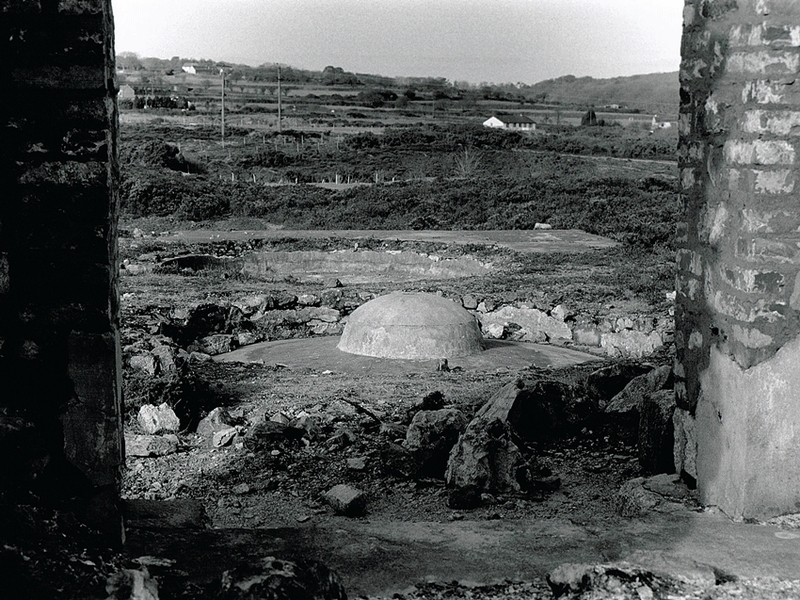 There are many concrete foundations for machinery scattered around the site. Looking down the Poldice valley towards Twelveheads, the Stamps foundations are on the right of the image. 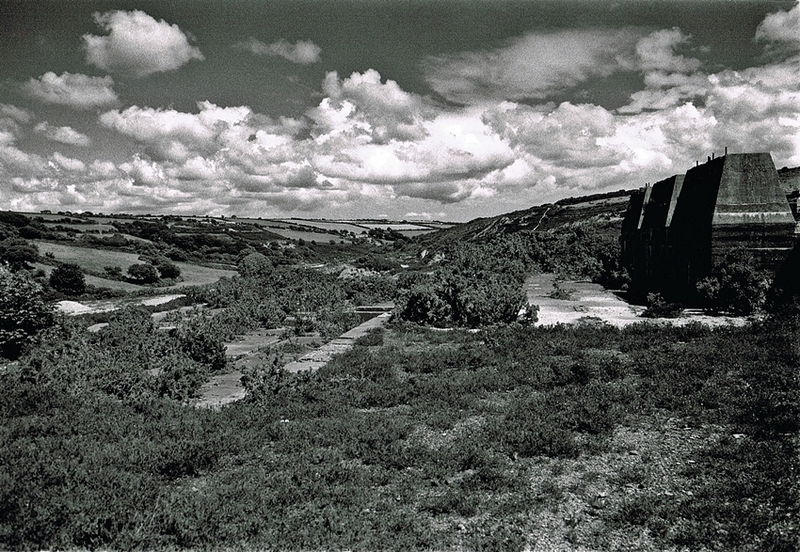 The last image on the Poldice Mine page is without doubt one of my favourite images, the clouds were perfect for Black and White photography.